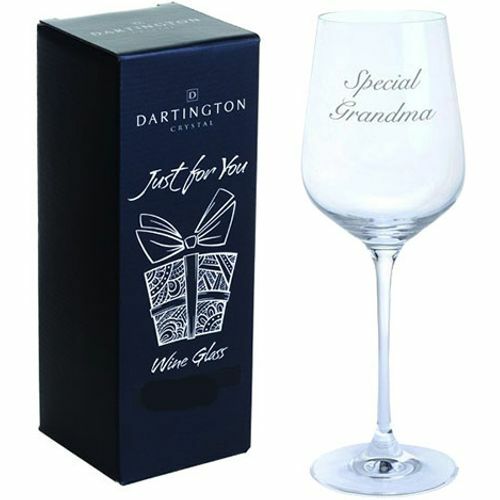 This Dartington Crystal Just For You Wine Glass is the perfect way to gift someone. This glass feature a long, wide bowl, decorated with the word Special Grandma. The clear, long stem gives you enough room to keep your hand away from the bowl, avoiding making your drink warm.